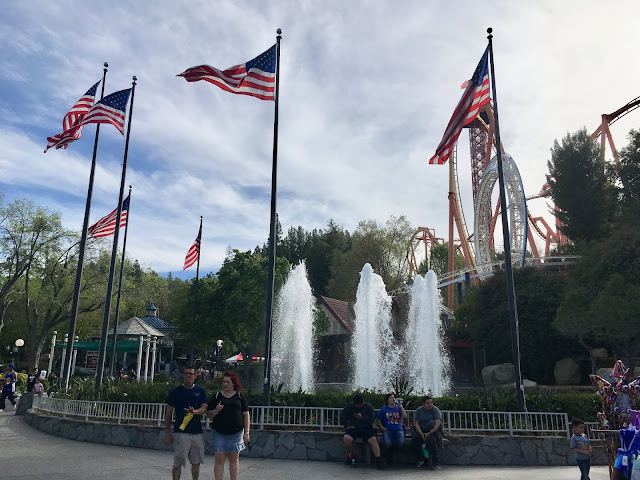 Today we head to Six Flags Magic Mountain in Valencia, CA to check out what's new around the park and the construction progress of West Coast Racers! 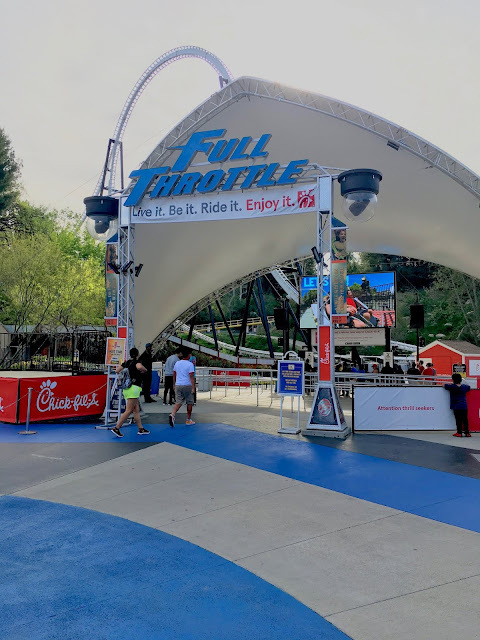 First up, Full Throttle has received an extensive "Chick-Fil-A" advertising overlay. The advertising is a bit tacky, but likely helps keep season pass prices low! Moving on, the park recently reported that its Green Lantern: First Flight coaster will never reopen. 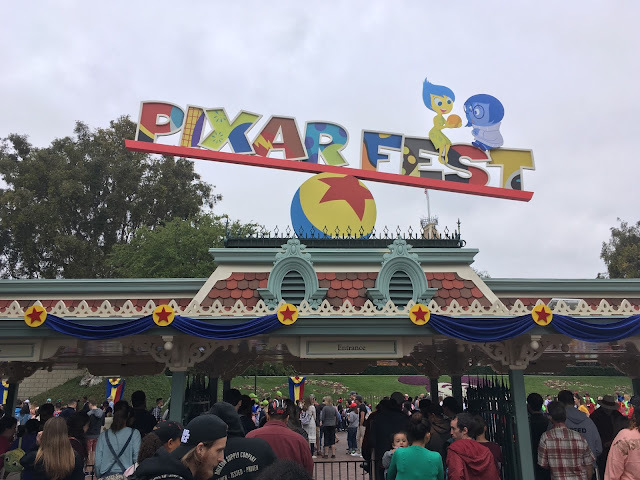 The ride is scheduled to be removed sometime this year for "future development". Green Lantern was a little bit too intense for me personally, but is a unique attraction nevertheless. 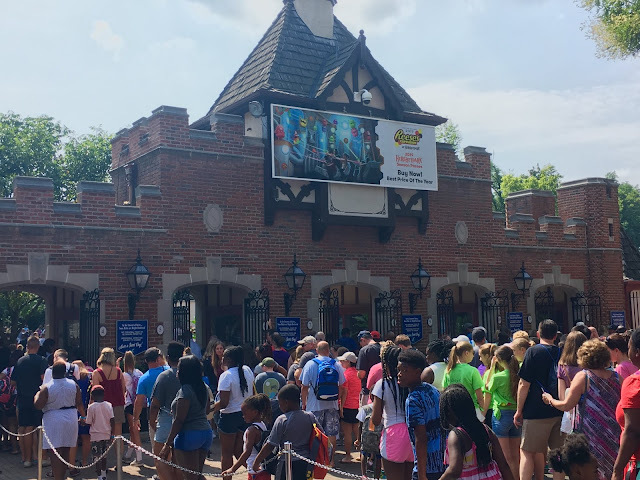 It's the first and only Intamin ZacSpin coaster in North America, and the only remaining models will be in Europe once it is officially removed. On the other side of the park, a main park pathway near Tatsu is still closed due to West Coast Racers construction. What lies behind those gates? Well, not a whole lot currently. 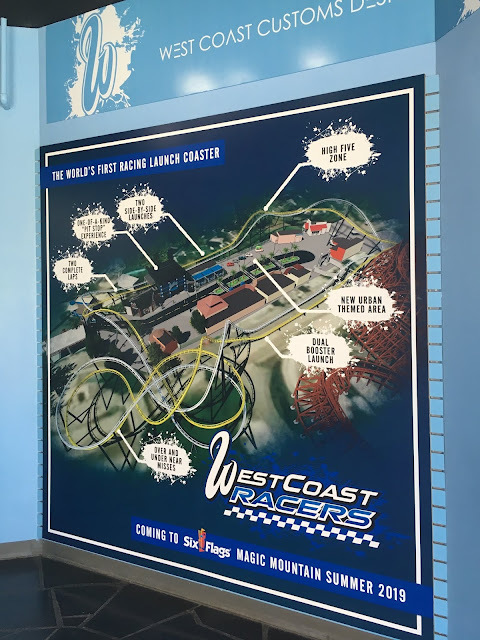 Construction has been moving very slow for West Coast Racers, as it is currently April and zero track pieces have been installed. This is not a good sign with regards to the ride opening for the summer season. Looking to the right, the situation looks pretty similar. The Cyclone 500 go kart track will be getting a retheme with the expansion. But, it appears that not much work has been done to it yet. The preview center is still open for guests to learn more about the coaster and buy merchandise in advance. 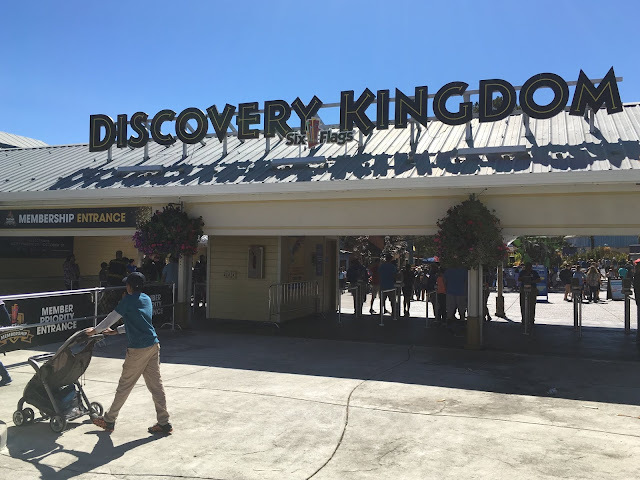 The location does not appear to receive much foot traffic due to the current "dead-end" created by the construction walls. Hopefully the site will look like this soon!